Size: approx. 190mm x 240mm. 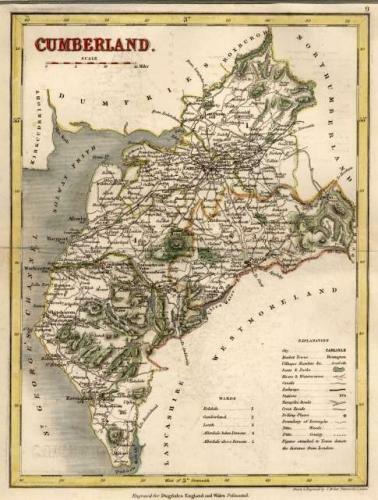 A map of Cumberland in good condition. Mounted.